KIEV, Ukraine -- Ukraine and the European Union will probably not initial a political association agreement at their Kiev summit on December 19, Leonid Kozhara, a lawmaker from the governing Regions Party, said Thursday, citing an undisclosed communication from Brussels. The development would be a major setback for Ukraine’s declared policy of European integration and may potentially tilt the country towards greater cooperation with Russia. “That’s true: the association agreement will not be initialed at the summit,” Kozhara said in an interview with Channel 5. Relations between Ukraine and the EU strained after Kiev has refused to release opposition leader Yulia Tymoshenko, a former prime minister, who was arrested in August and sentenced in October to seven years in prison for abuse of office. The EU said the arrest and the sentencing had been politically motivated and aimed against the opposition leader. President Viktor Yanukovych on Thursday confirmed that the issue of Tymoshenko had been the main problem in relations between Ukraine and the EU. “One of the issues that remain to be hot on agenda is the issue of former prime minister Tymoshenko,” Yanukovych said at a press conference in Kiev. Ukraine and the EU were in talks for almost five years over the free trade agreement and the political association agreements, and both had been basically agreed upon except for the Tymoshenko issue. Yanukovych said Thursday that Ukraine still hoped to achieve a “positive decision” at the summit in Kiev that would lead to singing of both agreements. But not only the authorities refused to release Tymoshenko from jail, they moved last week to “re-arrest” her at a special court session from within her jail cell on other charges. This makes her release impossible before the summit even if she wins an appeal against the seven-year verdict given her in October. The “re-arrest” of Tymoshenko was sought by the security service SBU investigators and was based on the charges dating back more than 15 years ago. The court session at bedside of Tymoshenko’s jail cell stunned many politicians and some alleged that the SBU may have been working to undermine the Ukraine-EU summit in order to change the country’s foreign policy towards Russia. 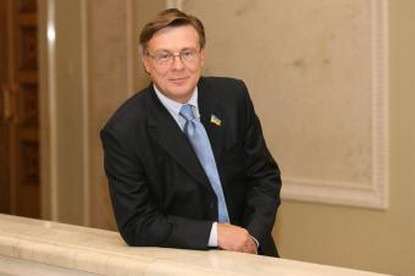 EU commissioner Stefan Fuele, the bloc's point man on Ukraine, was in Kiev on Tuesday to voice “serious concern” to Yanukovych over the jailing of Tymoshenko. But the concerns expressed by the senior EU official did not stop the Ukrainian authorities from making just another controversial move against Tymoshenko, underscoring the lack of the rule of law and potentially undermining the summit. Without her will, an undisclosed camera crew assisted by the authorities, filmed Tymoshenko lying in her jail cell bed and posted the controversial video on YouTube on Wednesday. The leader of the camera crew introduced himself to Tymoshenko as the “colonel of SBU,” before he ordered the crew to continue shooting the video even as Tymoshenko had vehemently objected. “I spoke with the Yulia Volodymyrivna today on this issue,” Serhiy Vlasenko, the leader of Tymoshenko’s defense team, said. Maryna Ostapenko, a spokeswoman at the SBU, on Thursday denied involvement of SBU agents in the filming of the video.